“Warmth where you need it,” says one of the taglines for the Lasko 5588, a tower-type ceramic heater that’s intended for use as supplemental heat. It’s 34 inches in height, and it weighs 10 pounds. The bigger question is… is it any good? Only previous buyers can tell us for sure. 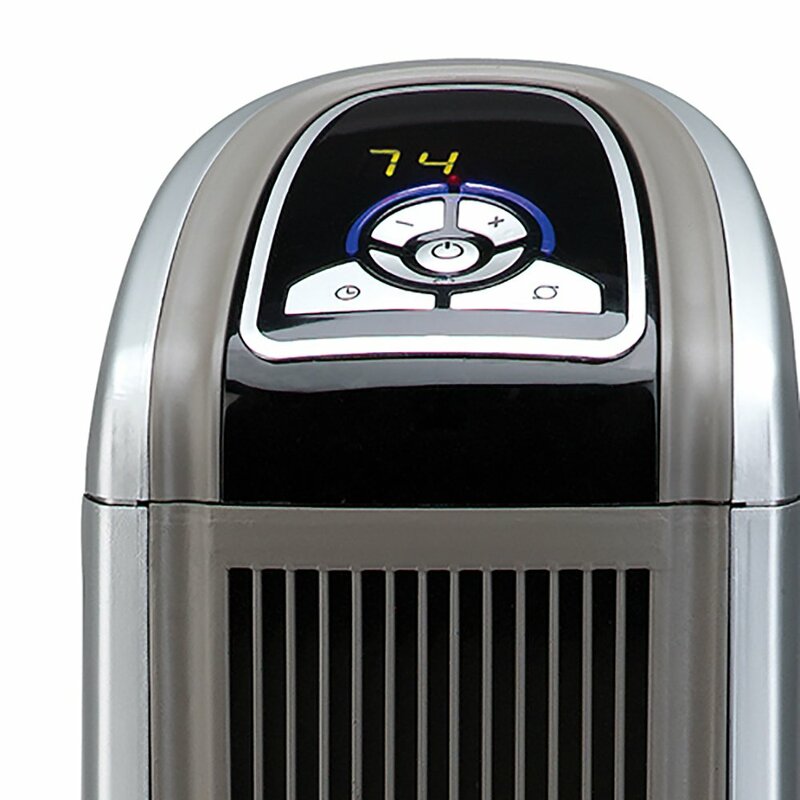 In this Lasko 5588 heater review, we give you a summary of consumer feedback. Here’s a list of this heater’s main features. – Control Panel. As can be seen on the image, the Lasko 5588 has easy-to-use top-mounted control panel that consists of buttons that let you control or activate the following features/functions: oscillation, timer, AUTO. On top of the buttons is a screen that displays the current temperature of the room. – Remote Control. Yes, this ceramic heater comes with a remote control. At the back of the unit is a storage for the remote, preventing you from misplacing it. – Safety. As mentioned in the user manual, this heater is equipped with a thermal overload protector to prevent overheating. How does this built-in feature work? When an overheat temperature is reached, the heater will automatically shut off. How did the Lasko 5588 fare among previous buyers? Here’s a summary of what we found out about the product. – Heating Performance. When it’s really cold outside, it may take a while to heat up a room. Overall, it can heat a room fast. – Coverage Area. There are varied responses as to how large a space this heater can effectively and efficiently heats up. But some people have specified that they can use it in a room that measures 20 x 20 feet. – Noise. 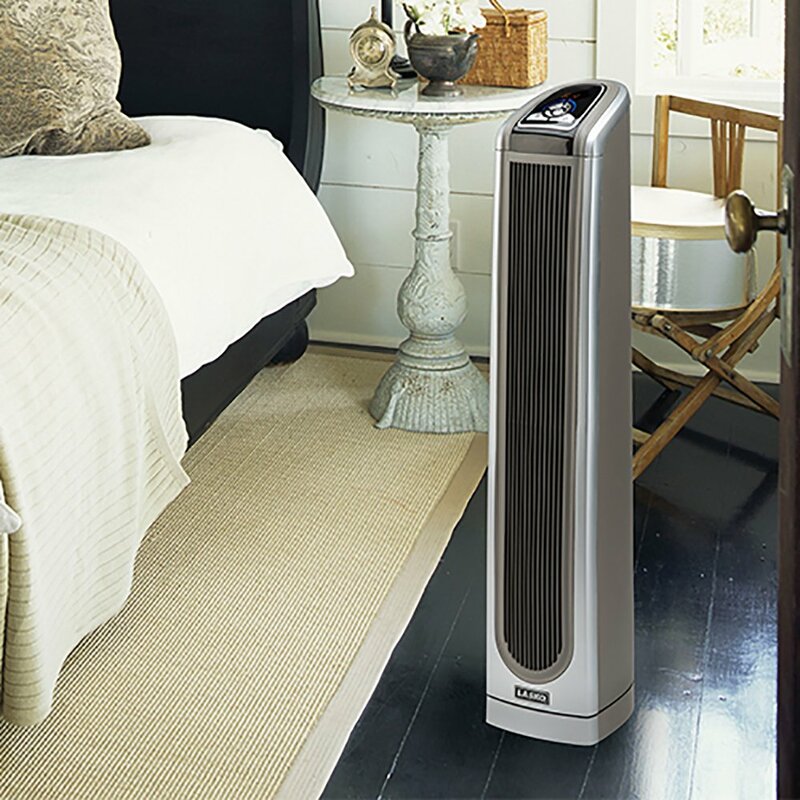 Consumers have conflicting feedback regarding the sound the Lasko 5588 produces. Some say it’s noisy, while others say it’s quiet. – Limitations. One, it doesn’t have a tip-over switch. Two, it doesn’t have a fan-only option. – Complaints. One of the common complaints raised by some consumers is that their unit came damaged. This is most probably an issue regarding delivery. Also, some people have complained about the quality of this unit. Should you buy the Lasko 5588? Here’s our recommendation. When it’s intact, this heater does what it intends to do. It can heat up a room pretty fast. But it’s difficult to ignore the complaints regarding the quality of this heater, so purchase it with reservations.